The two companies have worked together to combine the quality of Specktron’s Touch Displays with the powerful ability of the DisplayNote application to stream content from the display to multiple smart devices and laptops. DisplayNote is a screen-sharing solution that offers real-time collaboration in a flexible range of settings from classrooms to lecture halls to meeting spaces. Presenters can share content from their touch display to any connecting device, use their mobile device to present wirelessly and allow participants to contribute to the presentation from their smartphone, tablet or PC. This partnership enhances the functionality of the Touch Displays giving Specktron’s customers access to DisplayNote's presenter-to-participant screen-sharing technology, with a ten-connection license accompanying each large format display. Specktron is a leading manufacturer brand for education technology products with Interactive LED Displays, Interactive Whiteboards, Projectors and Visualizers. The DisplayNote collaboration tool will come bundled in the new range of SDX & TDX series from Specktron. "Specktron is delighted to have partnered with DisplayNote. With this agreement, we plan to deliver end to end interactive solutions to our clients as part of the package. This collaboration will empower customers, who now have greater power over content delivery and the device used. We truly believe this will change the way learning is delivered in the modern classrooms, and make it more engaging and interactive." 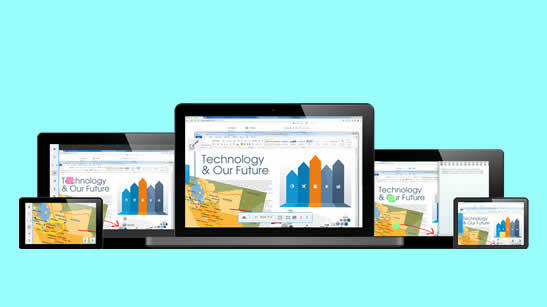 DisplayNote Technologies Ltd build collaboration tools that make it easier for people to share knowledge and ideas across locations, spaces and devices. Founded in 2012 by Paul Brown (CEO) and Andy Bell (CTO) with Offices in Belfast, United Kingdom and Murcia, Spain.